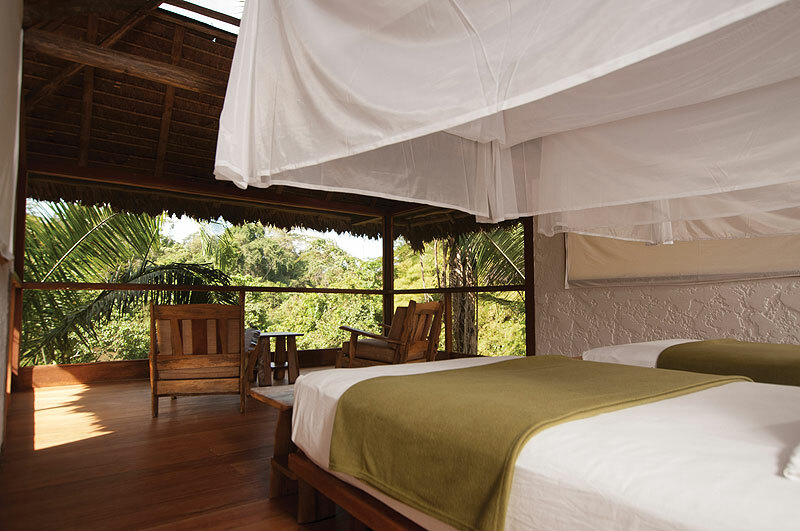 Built in a former cacao and rubber plantation, on the grounds of what was back in the 50’s “Fundo Concepción”, an Amazon Catholic medical mission center, our children friendly lodge is located in an enchanting and serene lush setting within 819 hectares of natural rainforest. 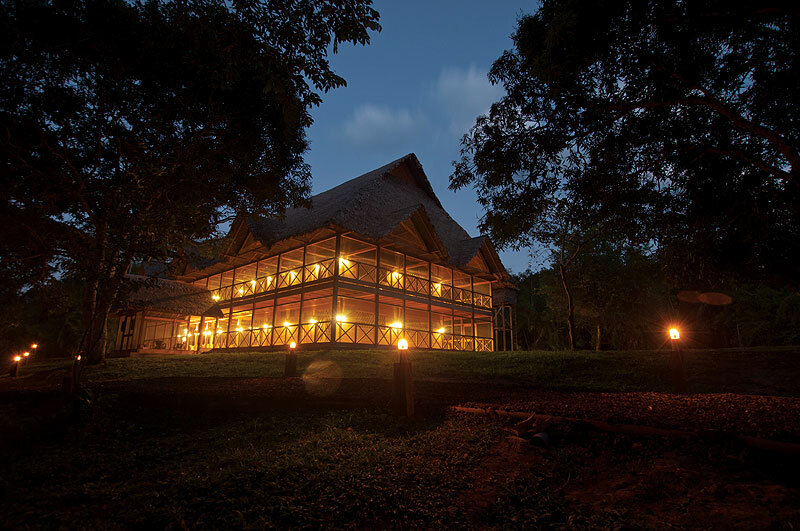 The rainforest acts as a buffer zone between the Tambopata National Reserve and the shores of the vast Madre de Dios river, making the location of this new lodge quite unique and wonderfully remote. Located only 8 kilometers / 20 minutes down river from Puerto Maldonado, Hacienda Concepción can only be reached by taking a scenic canoe ride from the town. 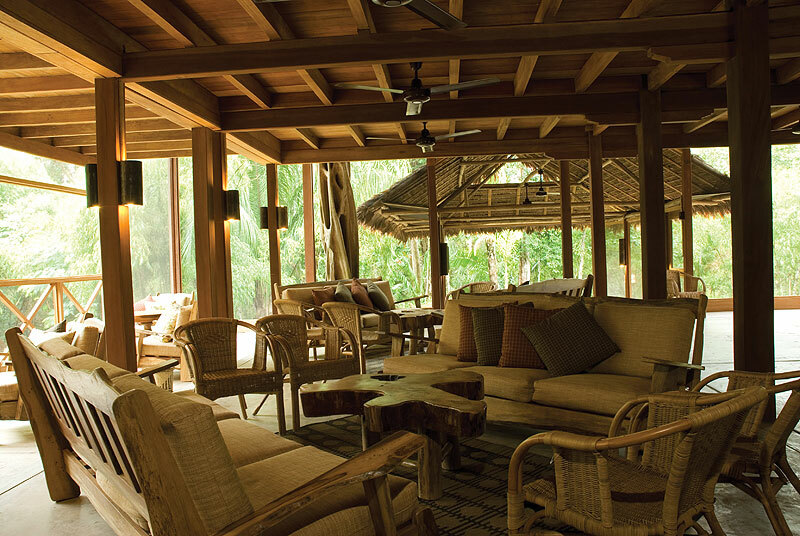 Cozy interiors of thatched roof, wood and expansive forest views make every meal magical. Inspired by the tropical flavors of the Amazon region, meals and beverages are prepared with fresh local ingredients. We serve an international buffet breakfast; lunch and dinner. All meals include a variety of salads and fruits, as well as a selection of homemade breads. We also offer vegetarian options and a children’s menu, upon request. 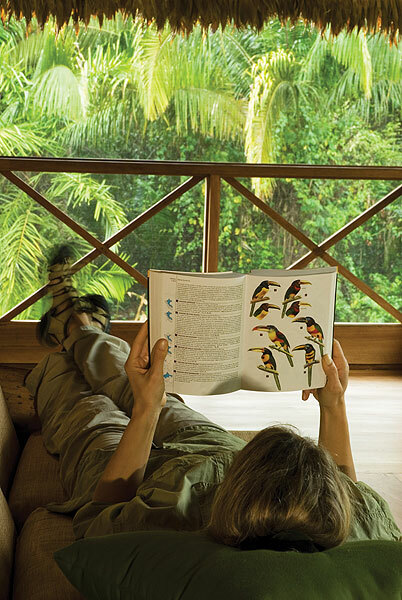 The majesty of the amazon rainforest holds a natural attraction for children and teens. Inkaterra Hacienda Concepción is a family-oriented lodge that offers special accommodations, such as additional beds, or bed railings (upon request and subject to availability); as well as highchairs, child-friendly guides, a children’s menu, and a Child’s explorer kit with magnetic compass, colored pencils and granola (prior reservation, and subject to availability). 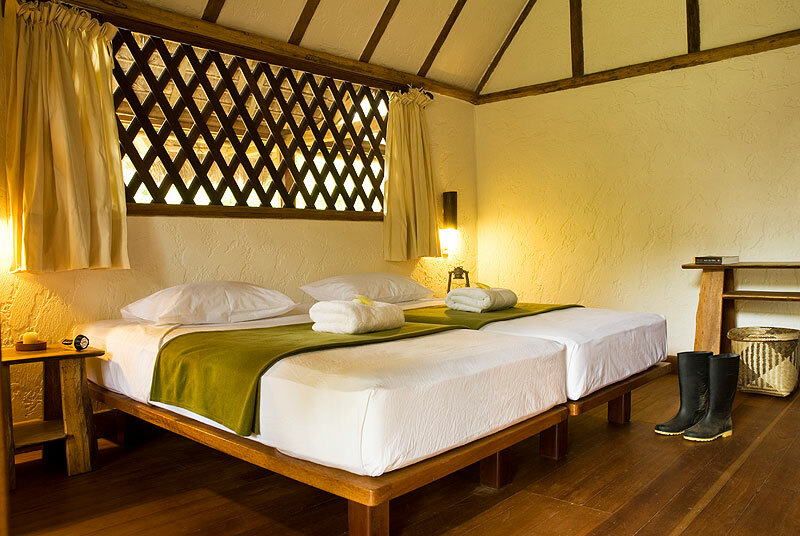 After a day of vigorous but enlightening jungle activity, relax in one of our spacious rooms – ideal for families or group of friends – housed in one big Amazon-style architecture. Equipped with two twins or one king bed, 70/30% cotton sheets, 2 hypoallergenic pillows per guest, hypoallergenic comforters, cotton bath robes, and bathrooms with hot water, and natural essence toiletries. For you comfort, reading lights, outlets, and a ceiling fan, with turn down service between 6 p.m. – 8 p.m.
A relaxing setting, ideal for couples, private and separate, each Cabaña is equipped with two twin or one king bed, mosquito net, 70/30% cotton sheets, 2 hypoallergenic pillows per guest, hypoallergenic comforters, cotton bath robes, and bathrooms with hot water, natural essence toiletries; also, light in the bathroom. 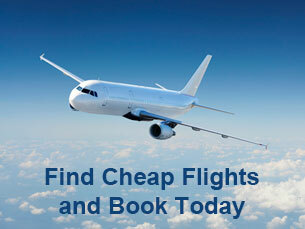 For you comfort, reading lights, outlets, and a ceiling fan, with turn down service between 6 p.m. – 8 p.m.